Though their chances of a league title were slim at best, the Woodbridge Strikers had to believe the three points were in the bag as they clung to a 1-0 lead after ninety minutes Sunday night. 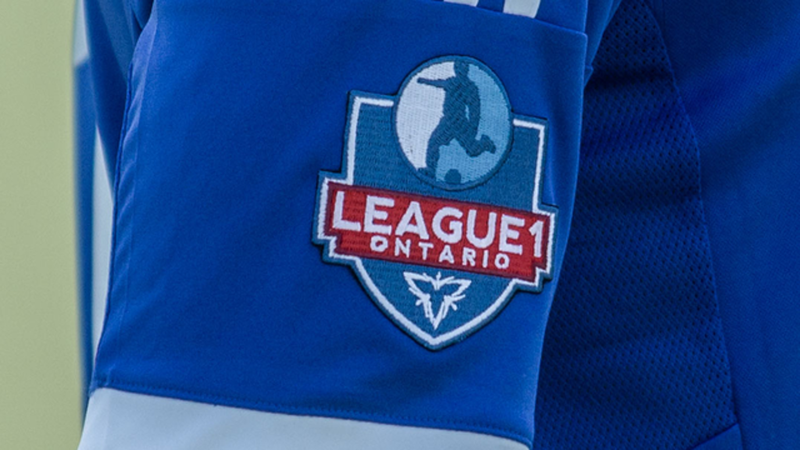 The League1 Ontario match wasn’t quite done and the King City-based ANB Futbol squad weren’t ready to just give away all three points. With extra time running down, a free kick was blasted into the Woodbridge penalty area and big ANB centreback Shiquan Lowe got on the end of it to knock the ball into the goal and tie the match 1-1 just before the final whistle blew. A victory would have brought the second-place Strikers to within three points of league-leaders Toronto FC Academy with both teams having two games left. Now, at five points back, Toronto can claim the title with a draw against Kingston on Saturday, a virtual certainty after TFC Academy blasted Kingston 11-0 in a Cup match last Saturday at Kia Training Ground in Downsview Park. Sunday's game was a rough one from start to finish as shirt-tugging, holding and tough fouls were the order of the day throughout the match. Goals and chances were difficult to come by for both sides, and it wasn’t until the second half that Woodbridge forward Julian Uccello was able to score from the penalty spot after a hand ball was called by the ref. That single marker held out until the very end of the game, when Lowe was able to find the Woodbridge net against all odds. The strong centre back is much more known for preventing goals than for scoring them. But he was thrilled to contribute on this occasion. "We drew up a little play to drill the ball near post, it skipped and came to me and I knocked it in," he said. "I try to get up in the air, use my frame and big body, create havoc, sometimes I get lucky like today," said Lowe about his attitude toward set pieces near the opposition goal. "It was a battle, it was open, we had a lot of chances, a tough call gave them a goal; they made it physical, we didn’t back down, we stepped up and gave them a good one," said Lowe who hopes ANB, with two games left and seventh so far, can finish fifth this season. ANB will need to win both its remaining matches against Sigma and Vaughan and see Windsor, currently fifth, lose its two matches to Vaughan and Woodbridge. Bassam Naim, ANB coach, said the match was, "very physical, I’m very proud of the boys. We organized the last play and I’m pleased the boys got the benefit from it." ANB plays Sigma FC at Country Day School on Wednesday, Oct 1 at 9 p.m. and then wraps up the regular season when Vaughan Azzurri come to Country Day School on Sunday for a 6 p.m. match. Woodbridge host Windsor at Vaughan Grove at 3 p.m. on Sunday and have a makeup game at Durham, details to be announced.